I'm such a sucker for a little fashion-hype! Kimonos are everywhere at the moment, and despite my June shopping ban (it lasted nine days) I have jumped firmly on board the kimo-yes bangwagon. Sorry, I couldn't resist! I've ordered the top right kimono online, and have now fallen massively head-over-heels in love with the RI longline kimono in the middle - how gorgeous?! I'm not sure I have the balls/style to pull it off... and £45 to justify it. Sigh. What do you think - a style investment or a flash in the pan? A couple of summers ago I had about 3 Kimonos and I sold them all because I didnt get much wear out of them at the time. Really regretting that now! 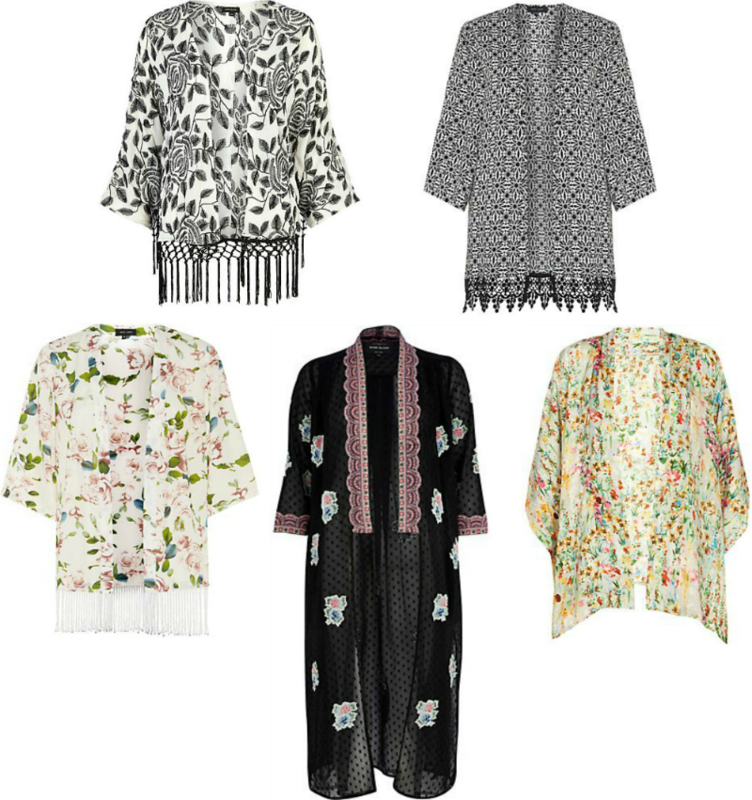 My kimono collection is growing...might have to add some of these to it too! I love kimonos! That one on the top left is so pretty! I've been wanting by a kimono top for a while now, it's such an easy way to make a jeans outfit feel more special! I'm really surprised I like the New Look one the best, i'll have to go find it in store!